Motivational balance is achieved through cultivating reality-based aspirations that are oriented towards one's own and other happiness instead of being, for example, caught up in the eight worldly concerns. Attentional balance is achieved through the shamatha practice of cultivating a clam, clear and focussed mind instead of being caught up in the imbalances of dullness and distraction. Cognitive balance is achieved through the vipashyana practice of realizing impermanence, selfless and emptiness instead of being caught up in grasping to things as unchanging, having a self or existing from their own side. Emotional balance is achieved through the practices of the four immeasurables instead of being caught up in reacting with mental afflictions such as anger, craving, jealousy and indifference. In this weekend retreat we will be looking at how to cultivate and integrate these four types of balance to achieve mental balance and well-being. 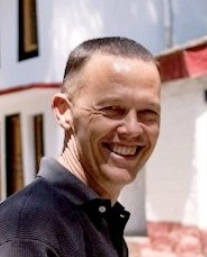 Glen Svenson: Originally from Australia, Glen has been a student and practitioner of Tibetan Buddhism since 1995 and graduated from the seven-year Masters Program in Advanced Buddhist Studies of Sutra and Tantra at the Lama Tzong Khapa Institute (Pomaia, Italy) in 2004. Various options for meals are available.